As Master Sha sings the Divine Soul Song of Yin Yang, watch, enjoy, and learn directly from Master Sha in the comfort of your own home – the easy-to-follow format with text and animated graphics will guide you through the song and the practice. 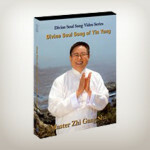 On this DVD Master Sha sings the Divine Soul Song of Yin Yang in a beautiful setting high above the Pacific Ocean. Watch, enjoy, and learn directly from Master Sha in the comfort of your own home – the easy-to-follow format with text and animated graphics will guide you through the song and the practice. You have the possibility of experiencing alignment of your soul, heart, mind and body , as well as great blessings for your health, relationships and finances. Use this DVD often to benefit your life fully!